Alright then. I’ve never done a tutorial before but I figure, gotta start somewhere, right? So here is Tutorial 1: Toilet Paper Tube Egg Carton Flowers!!! I made this tutorial in honour of Mother’s Day which is Sunday. (Note to self: Call Mom.) 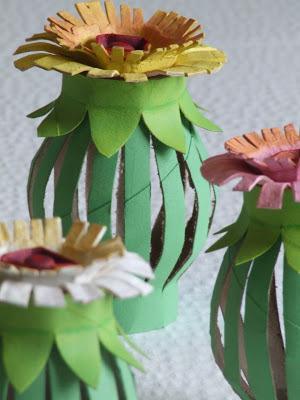 These flowers are very easy to make, with stuff most of us have around the house. 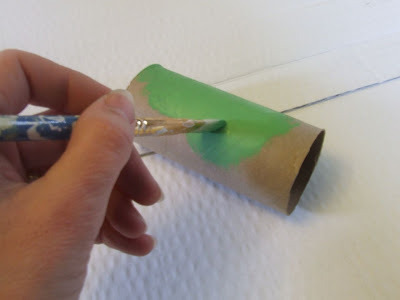 Step 1: Paint all toilet paper tubes a nice shade of green. Let dry. 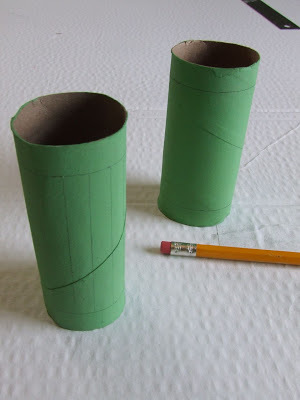 Step 2: Divide one of your toilet paper tubes into 3 equal sections. 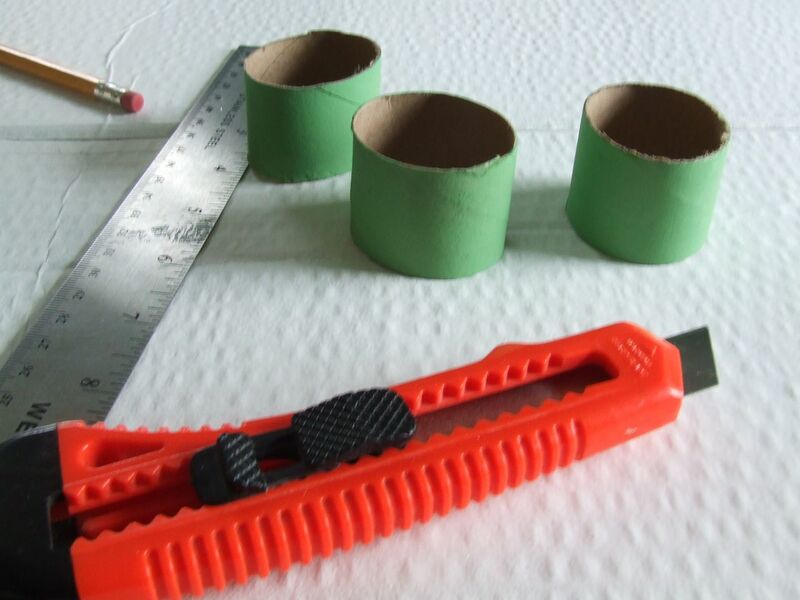 Step 3: Cut on lines with the exacto knife. 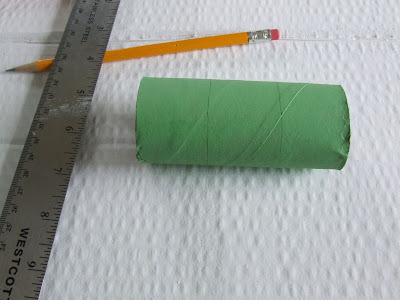 Step 4: Draw a line 1 cm from the bottom of the tube. Add leaflet shapes above the line around the entire tube. Do this for the other 2 tube sections as well. Step 5: Cut out the leaflet shapes. 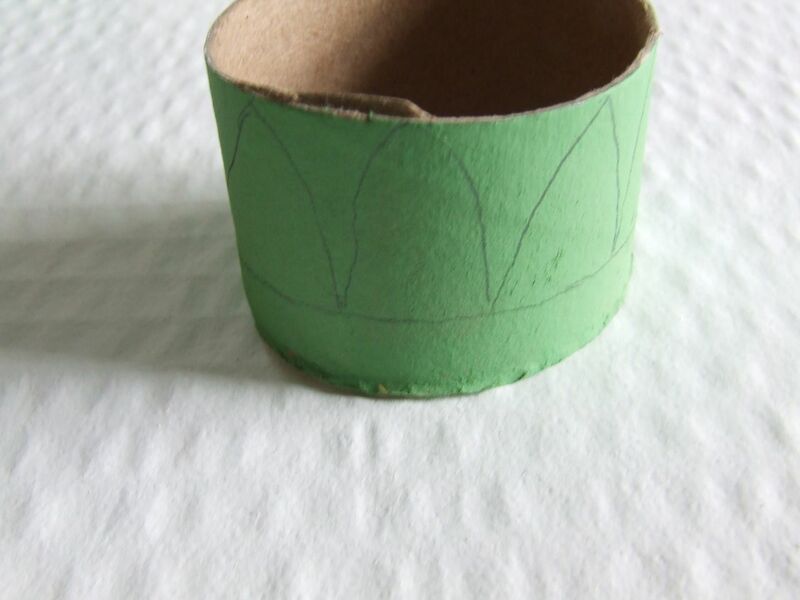 You will have 3 little green crowns. 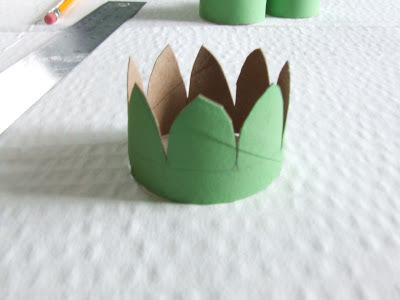 Step 6: Curve all the leaflets towards the outside of the crowns. Cut the crowns open. Step 7: Now take your egg carton and cut out 6 egg cups (2 for each flower). Do not cut through the middle of the egg carton. 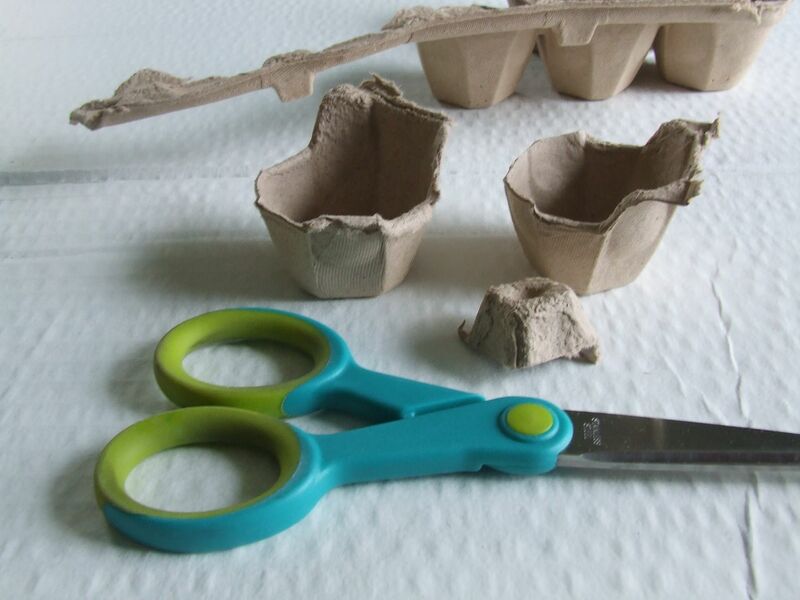 You will need the square parts that stick up in the center of the carton between each egg cup. See the following picture. Save 3 of those square parts. 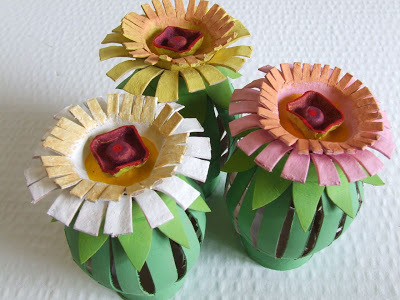 Step 8: For each flower, you will trim 2 egg cups and 1 inner square part. 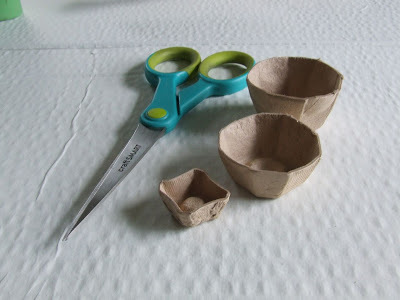 Trim one of the egg cups as tall as possible and trim the other egg cup, a little shorter than the first. 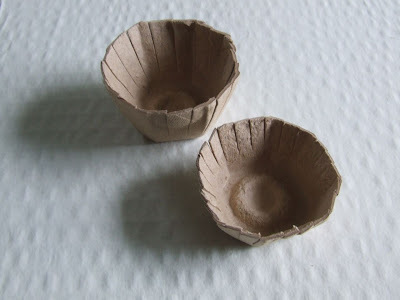 Step 9: Cut petals into the 2 egg cups. On the tall cup, make deep cuts that go down to the bottom of the cup. Make these cuts all around the cup. On the short cup, make shallow cuts all around the cup. See picture. 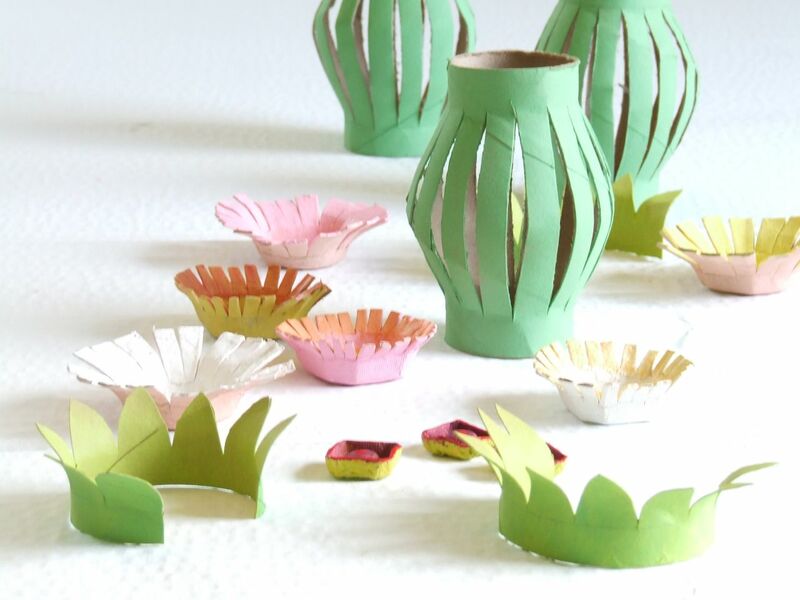 Step 10: Open up and curve the petals on all egg cups. Step 11a: Paint flower petals as desired. Step 11b: Paint inner square parts as well. 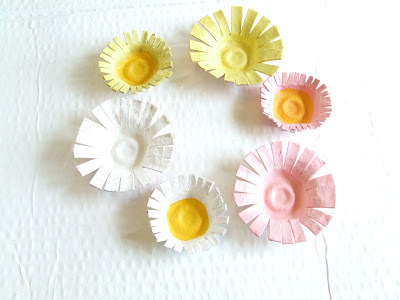 Let all flower parts dry. 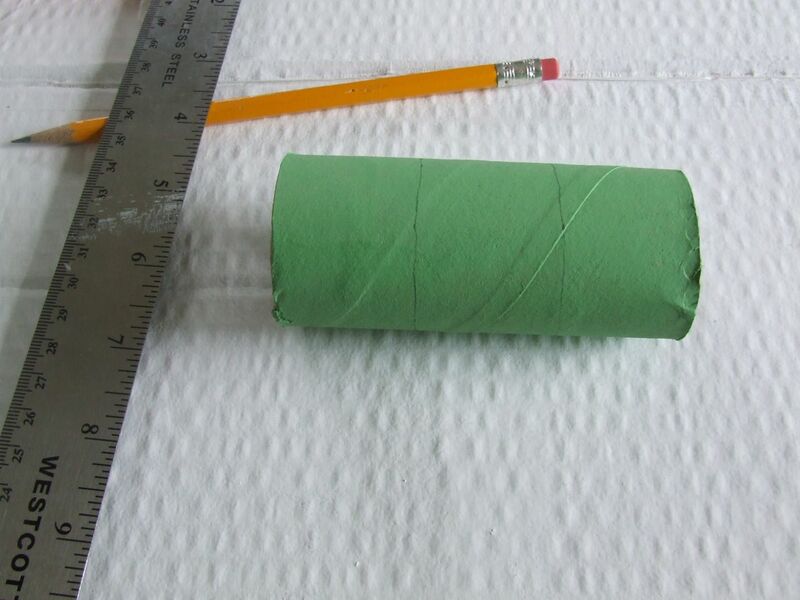 Step 12: As in the picture, draw a line 1 cm from both the top and bottom of each of the remaining 3 toilet paper tubes. Draw parallel lines all around the tubes. 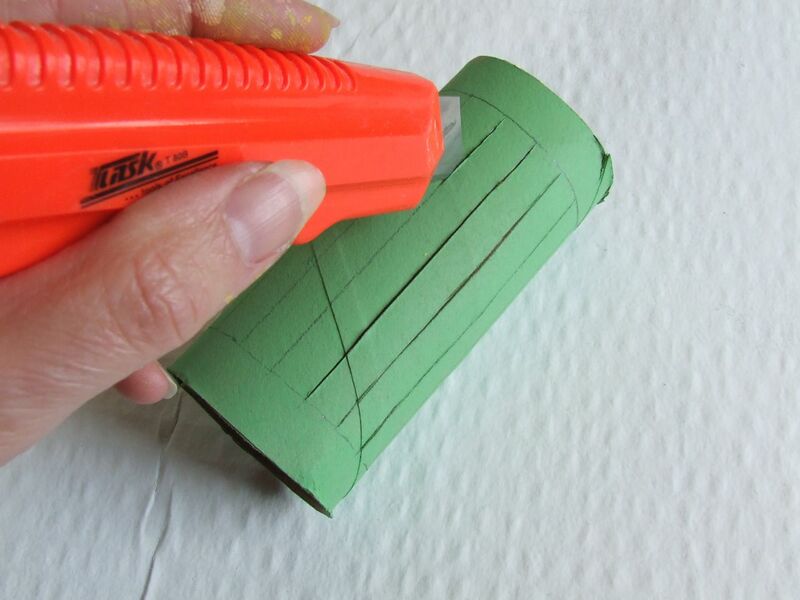 Step 13: Use the exacto knife to cut through each parallel line as shown. Do this for all three tubes. 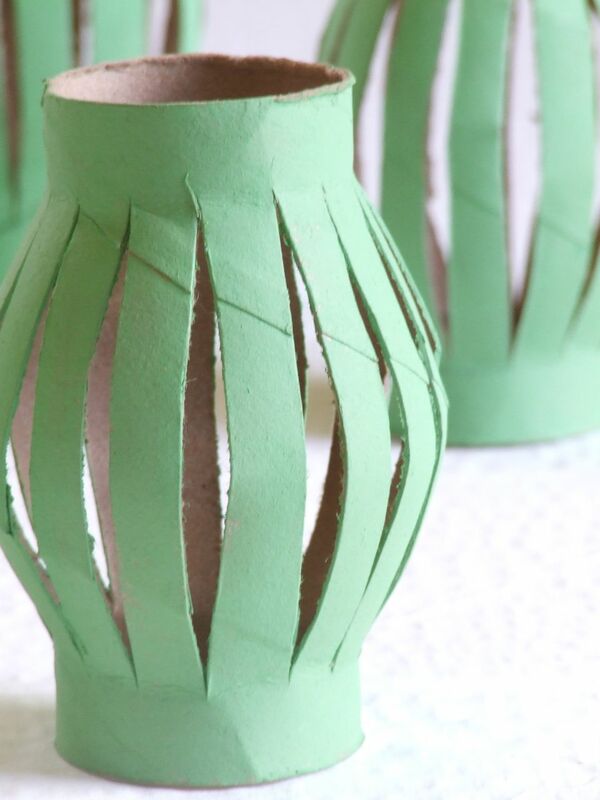 Step 14: Push out gently from the inside of each tube on all strips to create a vase shape. This is the flower stem. See photo. 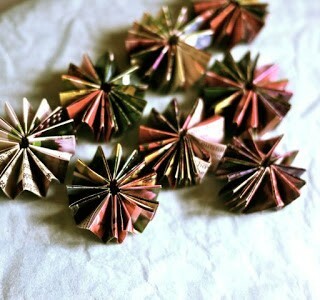 Step 15: Now you are ready to assemble your flowers. Each flower needs: 1 large petal egg cup, 1 small petal egg cup, 1 inner square part, 1 green crown and 1 green stem. 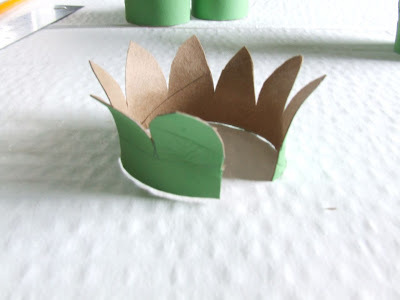 Step 16: Use white glue to adhere a green crown (leaflets pointing down) to the top of each green stem. 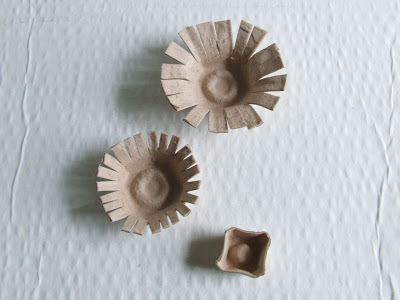 Step 17: Assemble the flower parts. Glue an inner square part into each small petal egg cup. Now glue a small petal egg cup into each large petal egg cup. Step 18: Glue an assembled flower to each stem. And voila! A Mother’s Day bouquet! Step 19: Have a Happy Mother’s Day! These are fabulous! thanks for the tutorial. 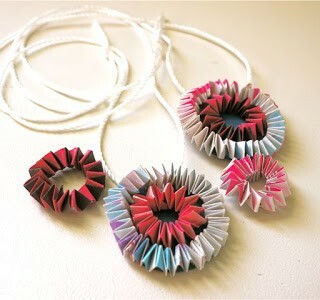 My daughter will love making these. 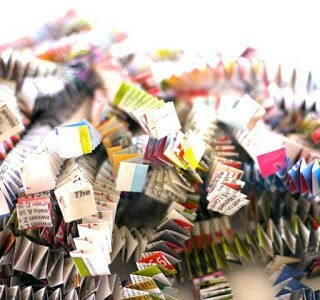 very nice, I like this blog! Simply lovely and very creative. Eu penso que você é brilhante. Seus trabalhos demonstram qualidade para uma vida mais feliz. Mais uma vez Parabéns!!!!!!!!!!! How cute, do you think it would work with water colors? Hi Jennie, I think it would work with watercolours although the colours wouldn't be as vibrant, and the flowers wouldn't last as long. I say, experiment with the watercolour and let me know how it goes! Best of luck! Just linked over from pinterest and I'm in love – these are AWESOME!! I'd really like to be able to include a picture of these on my Squidoo page about paper flowers, because this a tutorial I want to talk about a lot as being instructions for really cool paper flowers. Would you be willing to give permission for me to use one of your photos – credited, of course, and with a link back to here? 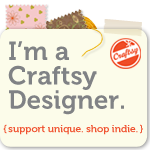 You should be able to contact me through the link – so we can talk more about what I'd have in mind if you're interested/willing. Thanks! Unfortunately, there is no link available Athelyna. 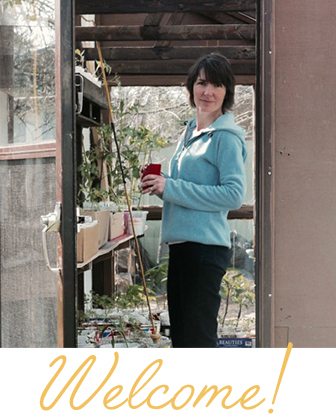 You'll have to contact me at michelemademe(AT)gmail(DOT)com. But I don't mind if you use one photo and a link to the tutorial. No problem! Hermoso….me encanta esta idea y la replicaré con mis niños.